Elcona’s golf course was constructed in 1956, and is a William Diddle design. In the mid 1990’s, the club retained famed golf course architect Arthur Hills to design a Master Renovation Plan, which was completed in 2006. Elcona’s involvement in ACSP is dated back to the early 1990’s, when then-superintendent Tom Zimmerman first registered Elcona with the Audubon Sanctuary program. 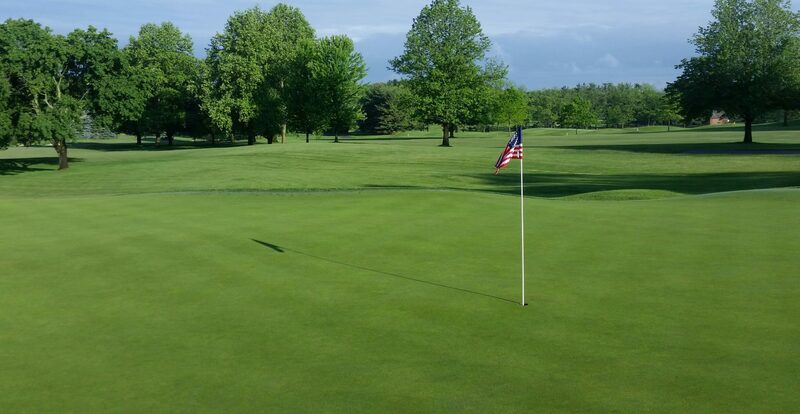 In 2012, Elcona became the 8th golf course in the state of Indiana and the 930th in the world recognized by Audubon International as a Certified Golf Course Sanctuary. In 2016, Elcona earned recertification which reaffirms its commitment as stewards of our community’s ecosystem. Each year, Elcona participates with community members to further enhance our environment. Some examples of this would include working with the Elkhart Soil and Water Conservation District on construction of a rain garden, Eagle Scout nesting box projects, and working with Pheasants Forever to establish food plots. The maintenance practices of the turfgrass staff highly favor cultural management to achieve desired playing conditions. Elcona utilizes an on site weather station to measure ET rates, which in turn better manages irrigation needs and helps conserve water. Naturalized areas have increased in size over the last 5 years to further develop habitat areas for wildlife. Elcona’s efforts have been noticeable specifically in the observed increase in wild turkey and whitetail deer populations. Throughout the property are nesting boxes for bats, bluebirds, purple martin, and other aviary species. These boxes were possible with the grounds staff working with a local Eagle Scout on collection and monitoring in 2013. Future efforts will be directed toward increasing nesting boxes for wood and Mallard duck species. On the outer fringes of the Elcona property are many diverse habitats for wildlife. The hiking trails are available for members to enjoy a nice walk and observe differing bird and animal species. Member nature hikes are scheduled on a regular basis to educate people on the diversity on the property. Elcona has multiple landscape beds that provide aesthetic beauty to the golf course, as well as serve a vital role with the pollinators that inhabit the property.